Two different groups of furry creatures cannot decide which one of them is big and which one of them is small. A engaging and energetic picture book, written by a husband and wife team. I purchased this for my library and after reading it cataloged it as “Picture/Basics/Opposites/Kang”. You can imagine my surprise when I heard it announced as the Geisel Award winner that cold February morning! 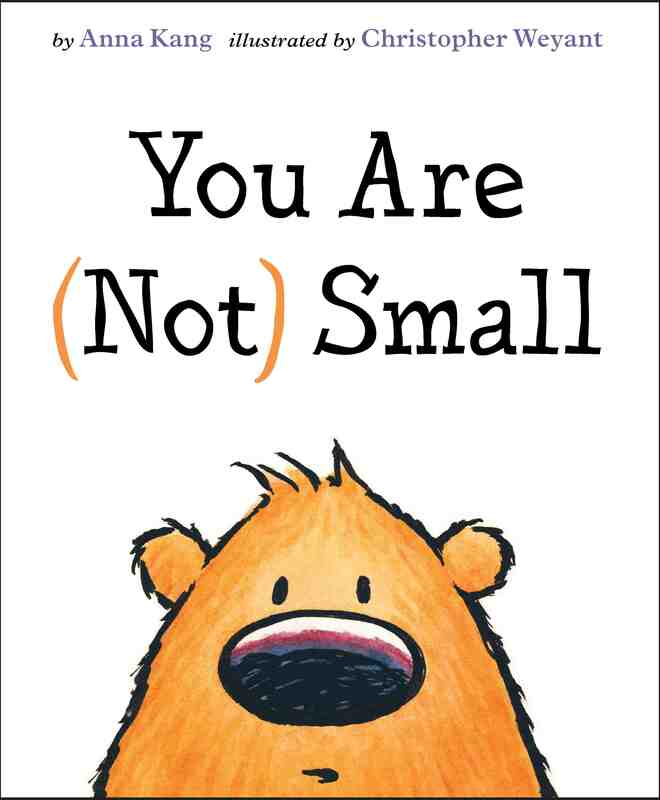 After the announcements, I took the time to read through You Are (Not) Small carefully, looking at it through the eyes of a beginning reader. The font size is absolute perfection if you ask me. The illustrations fill the majority of the page, but there is still more than enough white space for a beginning reader to use. The vocabulary is very limited, but easy enough for a beginning reader to handle on their own. The characters convey the change in emotion from inquisitive to argumentative to angry perfectly. I laughed out loud the first time that I read the book myself. And I had quite a few preschoolers who enjoyed it at my family storytime. I would definitely encourage librarians to get this into the hands of beginning readers — to make sure it doesn’t become lost in the picture books! 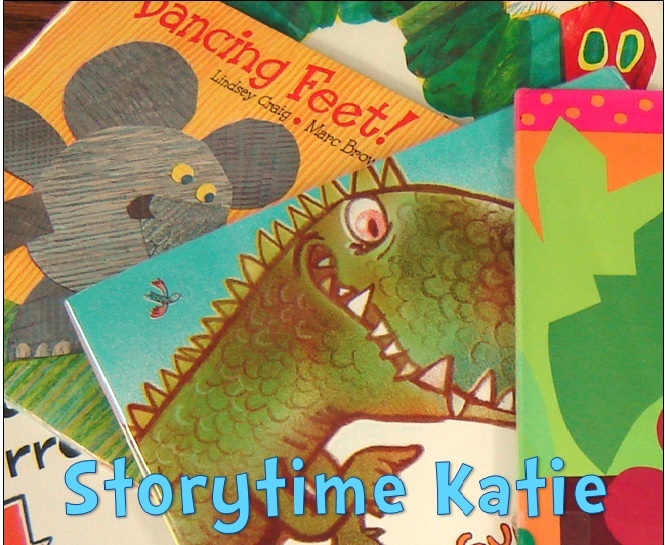 This sweet story will touch the hearts of librarians everywhere. 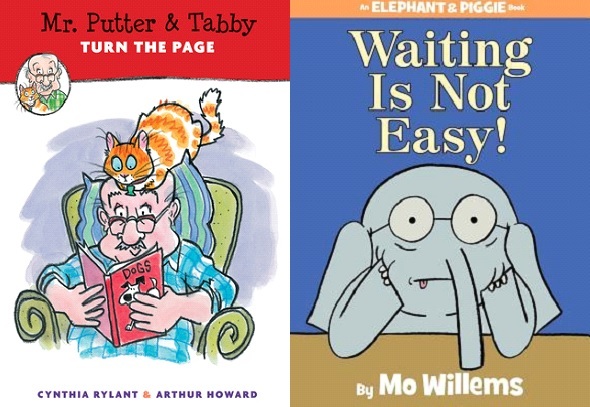 Mr. Putter and Tabby sign up to read books together at the library, but when Mrs. Teaberry and Zeke the dog also sign up, they become nervous about the event. Will Zeke manage to stay out of trouble? A more advanced beginning reader, this will charm many existing fans of the series and will draw in new fans! Piggie has a suprise for Gerald, but he must wait. Can he wait until Piggie’s surprise arrives? I often think that there is no greater fan of Elephant and Piggie than myself. And then I immediately meet a child that has connected with Piggie and Gerald on a perfect childhood level and I gladly relinquish my title as “Number One Fan”. This is a fabulous addition to the series, one that nearly eclipsed We Are In a Book! as my favorite.